Ladies and gentlemn, don your traditional Bavarian dirndls and lederhosen for a spirited Oktoberfest celebration with live music, every Fri. and Sat. at Wirsthaus until October 8. 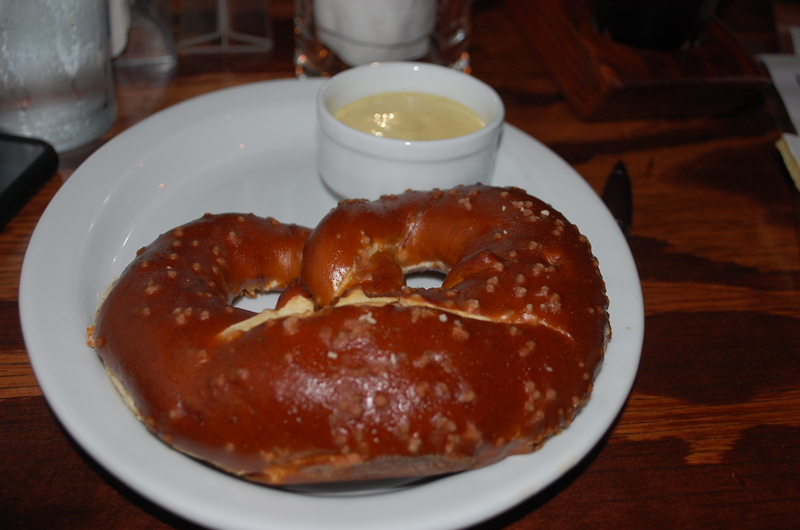 The owner, Bjoern Risse, and his girlfriend Christy, the general manager, opened an authentic German restaurant with a beer garden on Labrea, serving hearty classic, comfort food in a friendly and lively atmosphere. Long wooden tables and German décor invite guests to relax and enjoy this authentic German pub, serving 35 German beers. The German Consul, Michael Ott, tapped the restaurant’s first ceremonial keg of traditional Munich Hofbrau beer to kick off Oktoberfest on September 17. The party continues for the next two weekends. Click here to continue reading my review courtesy of the Beverly Press and published on Sept. 29, 2011via Eins, Zwei….G’Suffa! One, Two…Cheers for Wirsthaus. Previous Post Monsieur Marcel for Lunch? Mais OUI!